I’m not a huge fan of summer. It’s my least favorite of the seasons, especially toward the end. People are generally overexcited, looking forward to beaches, tanning, outdoor concerts, camping and swimming. These things are just fine, until throngs of people all have the same idea and turn pleasant days into madness. I never understood the appeal of people cramming like sardines into one location, all the while stressing over how and when to do it, to achieve some sort of relaxation. Summer evenings are great, albeit a bit too hot even after we dip into the rotating shadow from singeing inferno-ball that irradiates the planet. Nah, I’m an autumn guy. Harvests, bounty, cooler temperatures, crisp mornings, ice that doesn’t melt quickly, earlier evenings,–that’s my scene. Fishing, long-sleeve shirts and beverages that steam into the air. Everything seems to slow down from panicking for fun to taking a break. Latakia is one of the things I really enjoy jumping into when these seasonal chapters flip from one to the other. 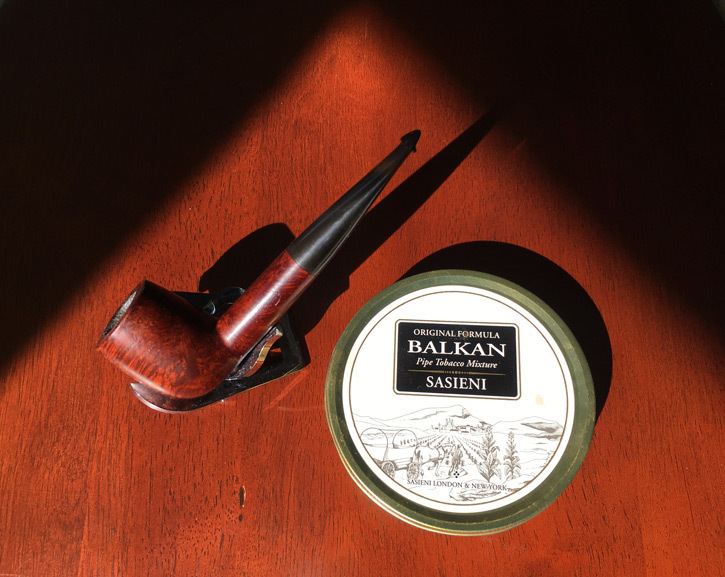 This fall, I’m getting to know a tobacco that I’ve dabbled with off and on for some time, Balkan Sasieni. It’s been a while since someone around these parts published any notes regarding this often underappreciated mixture. There’s always going to be bellyaching about what it was, or what might have been better than it yesteryear. I’m going to focus on what it is, a now-Scandinavian Tobacco Group made product, a particular tin of tobacco in the Balkan style, available at a retailer near you. Which master, I’m not sure. Where in Macedonia this leaf was originally procured I’m not sure either. At this point, I’m rebooting into a carpe diem mode with as little drama as possible. In the tin as one might guess it’s undeniably smoky–but not overwhelming. Refreshingly so, I might add, almost like offshore breezes with a beach fire nearby. 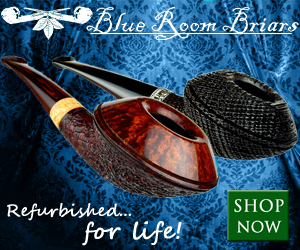 It has a basic but woodsy scent that could be one of one hundred other tobaccos similar to it out there. Packing and lighting are easy, as STG’s method of making ribbons ensures nearly any packing method can get you smoking without a hitch. This was also in welcome to the spirit and mindset I’m cultivating this month. The dryness is perfect, and if not. spend a little more time lighting it slowly rather than torching the bowlful wantonly. In the first quarter of the smoke you can expect it to be gentle, without being mute. Likely one of the least spicy of this genre, but it charms just right and thankfully without being a yawn. 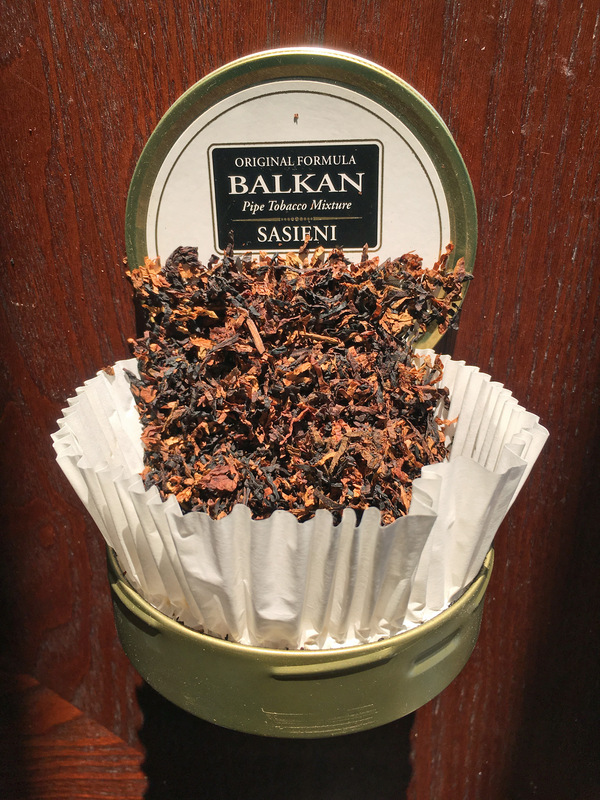 A lot of Balkan smokes can be a little rough on the tongue if not approached carefully, but Balkan Sasieni seems to be a little more forgiving. There’s a butteriness to the smoke that carries a hint of sawed-wood as a background note that I look forward to. 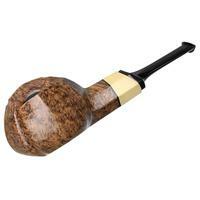 The Latakia is in polite amounts, and never shouts louder than the other tobaccos in the crowd, which I believe leans more Virginia-heavy than Oriental. Halfway through, if you have a newer tin, a little grassiness may be found, and the Latakia may be a little more pronounced. Left in the tin to gain some age, even just a couple of years, the sharpness gets smoothed out to an even flavor, although it isn’t a dramatic shift. As is, it’s slightly meaty, like a good jerky, with a touch of black pepper. The savory taste is honest without being brash, it’s not sweet in the slightest, leaning almost sage and pine-like. Setting down the pipe and forgetting about it to attend to things and revisiting it a little while later can give some enjoyment, although if you’re already raking leaves or drawing out plans to build a terrifying spectre to make the kids crap themselves in a month or so, leaving it in your jaw to smolder while doing chores isn’t a bad way to go, either. The last quarter to the end of the bowl ramps up a little more of the black pepper and herbaceous woodiness, but as from the first light, the flavors never overwhelm. The Latakia gracefully bows out and then you’re finished. It’s pretty straightforward. Before that moment, if you please, pour yourself a gin-type drink to go with it, as the pairing is damned nice. If you’re not a drinker, black coffee is my choice of morning companions, and it happily goes along for a good smoke, too. 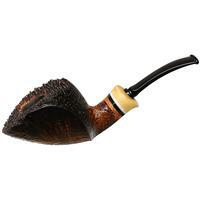 Nicotine is moderate, puffing speed is tolerated no matter what happens (so long as packing is reasonable), and choice of pipe seems not to matter too much. 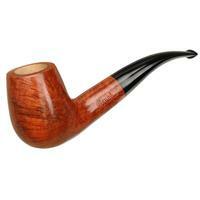 I do find wider-chambered pipes, uncommon in my collection, do open up and thicken flavors a little more. But who cares? It’s fall. Do what you want and enjoy it. 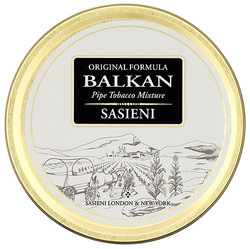 Balkan Sasieni is not a stand-out smoke, but it is a stand-up one. This time of year, basking in the lack of pressure of the waning summer, and by my overall poise this month, my goals are clear. I simply want to smoke. I’ll leave any reference and sentiment to compare the Balkan genres, former makers and products to the denizens of scholarly experts. This isn’t a history lesson or woe for times of yore, it’s a day-in-the-life-of. With this particular tobacco, most importantly, I don’t find it trying to be anything it isn’t, and this is what caused me to pick it up for a re-visit this September. There’s no pressure from it. 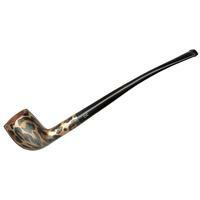 It’s not expensive, it’s easy to smoke and not hard to find. If you’re like me and tend to put the Virginias in hibernation during the cooler months in favor of a smokier taste, it’s a good way to take a breather and get reacquainted with a great time of year. 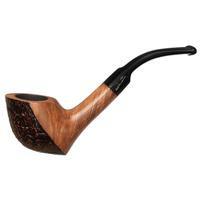 I have smoked a fair amount of this, over the years - as a matter of fact, I have a tin open right now. I smoked a lot more of it before White Knight came out. Good shout on this one, Kyle. I remember purchasing a tin of this at the Reno TinderBox many years back. I believe it was the first Balkan, and likely the first blend with Latakia at all, that I had ever put a match to. It’s always held a special place of honor to me for that reason. I agree completely: This blend is “not a stand-out smoke, but it is a stand-up one.” Always a pleasure to read your thoughts - Cheers.